When voters go to the polls in May, the Civil Service needs to be ready. The election result may be straightforward, with one party winning an overall majority. But whatever the situation, the principles and conventions about how a government is formed remain the same. The United Kingdom famously has an uncodified constitution. But one recent development is that there is now a single document – the Cabinet Manual – that sets out the principles and conventions about how governments are formed, and much else. 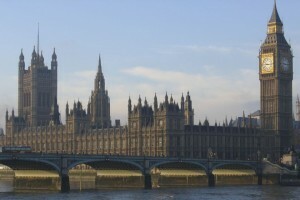 Work began on the Manual at the end of the last Parliament, and the Government published the current version in 2011. It collects in one place the conventions that have operated when a government is being formed. The Manual is a record, not a rulebook. But it provides a useful guide to what to expect. The conventions are well-established. In our Parliamentary democracy, the Prime Minister is always the person who is best able to command the confidence of the House of Commons, and Prime Ministers hold office unless and until they resign. If the election produces a clear majority outcome, it will normally be obvious who should serve as Prime Minister. If there is doubt about who should form a government, it is up to the political parties to establish who can govern with the confidence of the House, and for the Prime Minister to recommend to the Monarch who that should be. By convention the Sovereign should not be drawn into party politics. Of course that process could take a little time. But the business of government continues, and if the election outcome isn't immediately clear, the Prime Minister remains in post, as do his Ministers. In 2010 both David Cameron and Gordon Brown made publicly clear when the results were announced that their actions would be guided by the national interest, and Gordon Brown remained in post while discussions about forming a new government took place. During that time, the incumbent government continued to deal with events and carry out essential functions with the support of the official machine. That is entirely proper, and ensures that the United Kingdom is never without a functioning government. If there is significant uncertainty after polling day over whether a government will be able to command the confidence of the Commons, Ministers may continue to exercise discretion in taking some decisions until that is clear. But the Prime Minister and government have the ability to exercise the full range of executive powers if that is necessary. The critical point is that government formation – whether it is a matter of hours or, as in 2010, a few days - is a political process. It is for the parties and their leaders to determine who is best placed to form a government that can command confidence, and what form that government should take. The Civil Service must always be, and be seen to be, impartial: our role is to serve the government of the day. 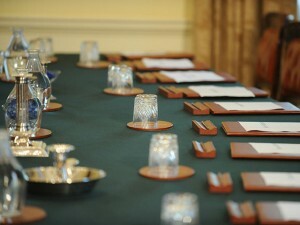 If the Prime Minister of the day requests it, the Civil Service may provide limited support to any negotiations that take place between parties. Gordon Brown authorised such support in 2010, and the Prime Minister has made clear he would do the same should it be necessary. I expect that, as it did then, this would mean making logistical arrangements, and providing any factual material parties ask for on the costs and implementation of potential policies. My job as Cabinet Secretary and head of the civil service is to make sure that we are ready to respond quickly and effectively to whatever the people decide on 7 May. That says it all really! Whilst I wouldn't advocate giving up everything, it is empowered individuals like yourself who have a passion for the wider picture who can really make a difference. I'm sure you're well aware but if not, check out the Civil Service Vacancies site!